It's always good to finish the piecing on a quilt top. 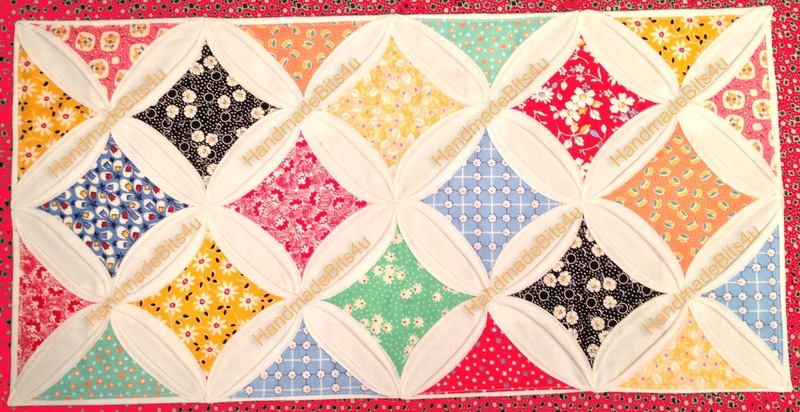 This full-sized quilt top is the Easy Hex pattern from Gudrun Erla's (G.E. Designs) Big Blocks Big Style book. 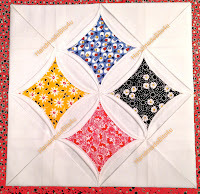 Gudrun was the guest designer at Quilt Cove's 2012 Fall Retreat and that is where I started this top. How I ever managed to get Rusty to pose so nicely in front of the quilt is beyond me. I think it was simply my lucky day! 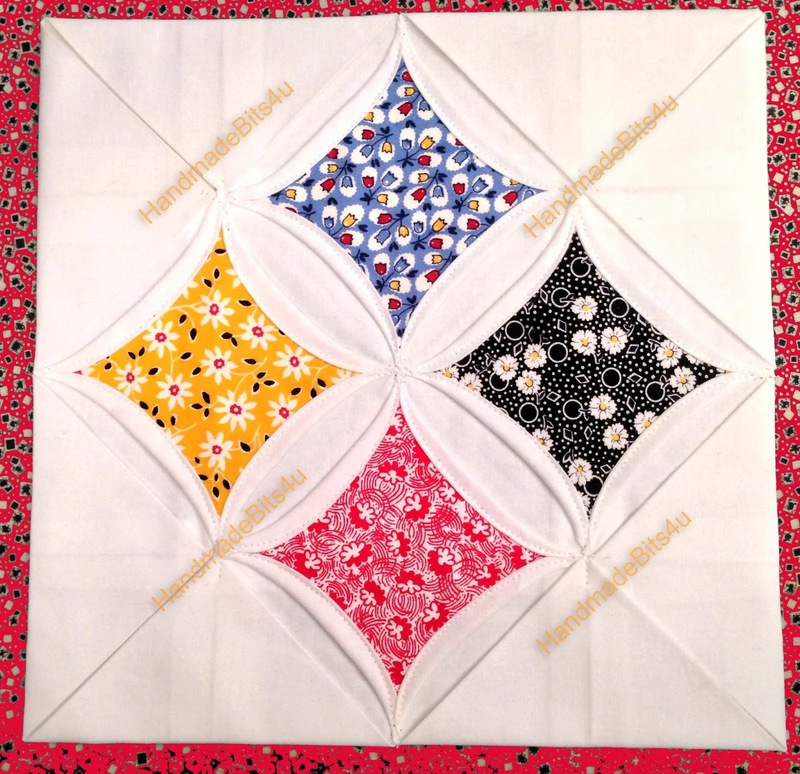 Now that that the quilt top is done, the next step is to get it quilted and bound. Given that it is going to be in the 90's the next few days with high humidity I guess I won't have to worry about getting it done right away! But that snow will be flying before we know it! 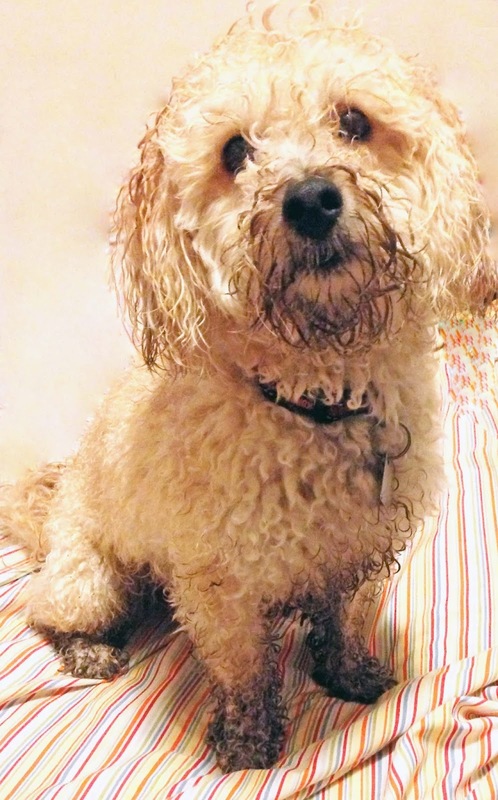 What do you get when you mix light showers, dirt, and an overly active furball? 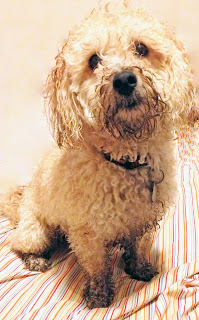 The answer: one drenched, muddy, yet very content fur ball!! While finishing up some yard work during very light showers, Rusty managed to find multiple spots to dig in and within a matter of seconds, yes seconds, he turned into this. His paws and legs and muzzle magically turned from apricot to black! Oh the joys of our 4 legged friends. Christmas in July has its kickoff today on Etsy and runs through July 21. Etsy treasuries featuring shop items that are on sale are in abundance. 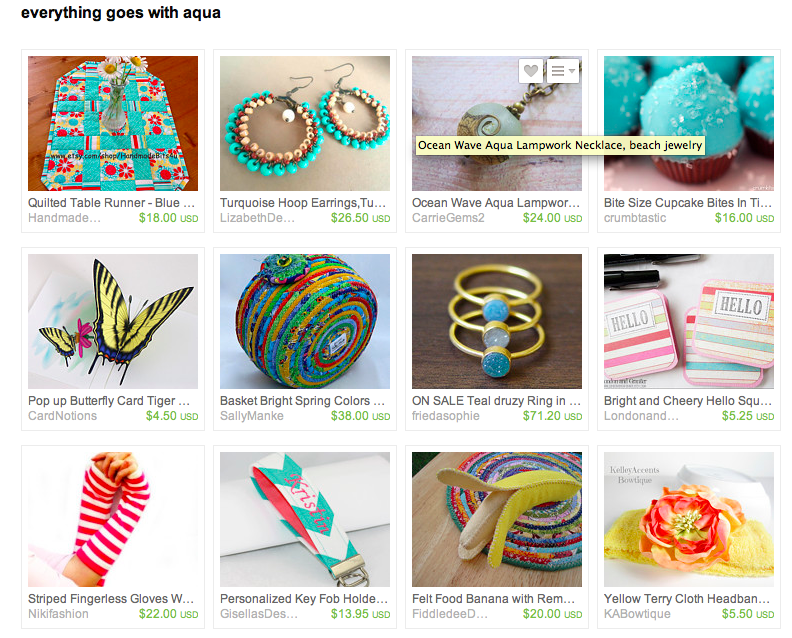 Here is one that features all good things in aqua curated by Kimberly of ATinyForest, including one of my table runners. Each shop has their own sale offerings. My offering is 10% off anything purchased now through July 21 or any custom order purchased during that time. Just use coupon code CIJ10 during checkout to automatically receive 10% off. Christmas in July Sales on Etsy - Microwave Bowl Potholders! It's July and that means Christmas in July sales abound in brick and mortar stores and on online venues including Etsy. My Christmas in July sale is 10% off anything in my Etsy store or any custom order made and paid for during the sale. Just enter code CIJ10 at checkout time to receive the discount. The discount is good through July 21st. 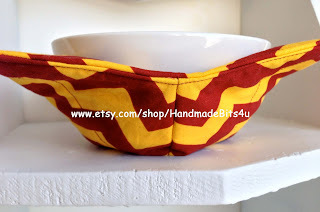 I have added some Microwave Bowl Potholders to my store today. These make for great gifts for hostesses, teachers, coaches, college bound students, guys, bachelors, family members, and yes, even for yourself! Microwave Bowl Potholders are great for warming up soup, making oatmeal, heating up leftovers. All you do is to fill your bowl, put the bowl in the potholder, and then put it in the microwave. It makes it much easier on the hands when removing your bowl from the microwave. Here's one that has a maroon and gold chevron design on both sides - the colors are similar to the Minnesota Golden Gopher colors. And this one has a purple and gold chevron design on one side and a solid purple on the other. The colors are similar to those of the Minnesota Vikings. 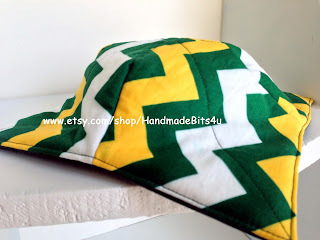 And this gold, green, and white chevron design (with a solid green on the the other side) are similar to those of the Green Bay Packers colors. I have more available and will be listing them over the next couple of days. And if you're a sewer, you'll find a pattern to make these yourself in my Etsy store too. Remember, use CIJ10 to receive your 10% discount. It's never to early to start your gift shopping for the holidays! Now, should I use it as a table runner or as a wall hanging?